Hawaii was a time for everyone to gain new experiences. While the surfing, swimming and snorkeling were newer activities for Marsha, we did end up doing some other new things as a family. As a family, we shot guns at a shooting range and we tried out kite boarding. 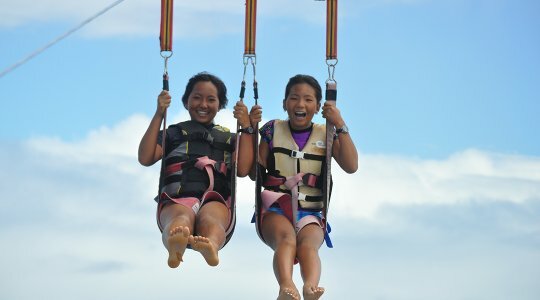 Here, the girls tried parasailing. With my general dislike for heights, I didn’t want to pay money to experience this, but the girls had a great time!